Tarapaca´s Etiqueta Azul is a Red Blend from the Maipo Valley of Chile showcasing the best vineyards sites from each vintage. 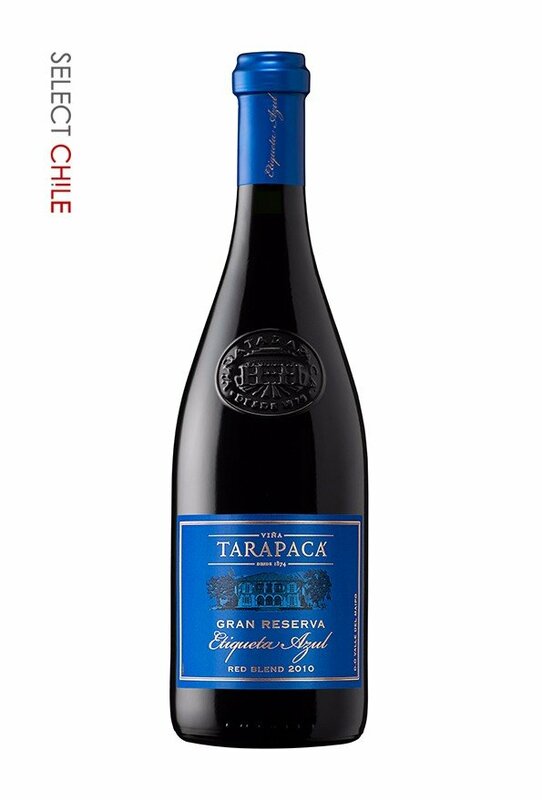 The 2012 is sourced from six different vineyard lots in the Maipo Valley. Cabernet Franc base is 43% of the final blend is sourced two vineyards in the Alto Maipo. Cabernet Sauvignon makes up 36% of the blend and is sourced from two vineyards. 21% of the blend is Syrah clone 300 lanted on the cool windy river bench at our Rosario Estate on coluvial clay loam soils with eastern exposure next to the Maipo Riveris picked in early May makes an inky black fruit explosion to add to the blend. stones, baked bread ,marzipan, black cherry, wild berries and ripe plums. The tannins are fine grained and create a mouth filling entry that carries through to the finish.